giving you complete peace of mind. An honest, caring & personal service giving you complete peace of mind. 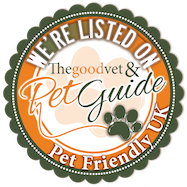 www.dignitypetcrem.co.uk (Website) is brought to you by Dignity Pet Crematorium Limited, a company incorporated and registered in England and Wales under company number 04317817 whose registered office address is at Brickfields, Odiham Road, Winchfield, Hook, Hampshire RG27 8BU. For the purposes of the General Data Protection Regulation and all other relevant legislation, Dignity Pet Crematorium Limited (‘we’ or ‘us’) is the ‘data controller’ (i.e. the company who is responsible for, and controls the processing of, your personal data). Personal information about you (such as your name, email address, phone number) will be obtained, whenever you complete forms on the Website. We will also obtain personal information you provide when you contact us for any reason and by any medium, purchase a service, provide feedback, share information via the Website’s social media functions or report a problem with the Website. We may ask you to provide sensitive personal data from time to time. If such data is requested, you will be given additional information as to why the sensitive personal data is being requested and how it will be used. We may retain a record of any contact you make with us. Occasionally we may receive information about you from other sources, which will be added to the information already held about you in order for us to help supply our services to you. Device information: We may also collect information about your device each time you use the Website. For example, we may collect information on the type of mobile device that you are using and its unique device identifier (for example, the IMEI number, the device’s mobile phone number, or the MAC address of the device’s wireless network interface), the type of mobile browser that you are using, the mobile operating system that you are using, mobile network information and the time zone setting. Information on your device: We may also collect information which is stored on your device each time you use the Website. For example, we may collect contact information, login information, friends lists, photos, videos and other digital content with your prior consent. Location data: We may also collect information to determine your location using GPS technology or such other location tracking software we may use from time to time. Some of the features of the Website may require access to such location data to work. If you would like to use any such feature, you will be asked to consent to provide such location information. You can withdraw your consent to providing this information at any time by emailing enquiries@dignitypetcrem.co.uk or contacting us via the contact details at the bottom of this policy. improving our services and products. What is our lawful basis or ground for using your personal data? Under laws that are designed to protect your personal data, we need to have what is called a lawful basis or ground each time we use, share or otherwise process your personal data. We may also need to process your personal data to comply with any legal obligations which may be applicable. Likewise, we may process your personal data where this is in the public interest or it is to protect your vital interests, but this will only be in rare circumstances. In most cases, our processing of your personal data is necessary for the performance of our services to you. Certain uses of your personal data, or other processing activities, may not be strictly necessary to perform our services to you, however, they may be necessary for the purposes of our legitimate interests or the legitimate interests of a third party. They may also be in your interests. When we say “legitimate interests”, we mean our (or a third party’s) interests in enabling us to provide our services to you as efficiently and securely as possible. For example, we may choose to use a third party to store your personal data; we may do this in part because our use of that service means that your personal data is more secure. If you have provided your consent to receive news from us, we may contact you by email, telephone or text message about products and services that may be of interest to you. We will use technical and organisational measures to safeguard your personal data, for example we will store your personal data on secure servers. Any physical copies of your personal data will be locked in a secure facility with access restricted to authorised employees and agents of Dignity Pet Crematorium Limited. While we will use all reasonable efforts to safeguard your personal data, you acknowledge that the use of the internet is not entirely secure and for this reason we cannot guarantee the security or integrity of any personal data that are transferred from you or to you via the internet. We will make reasonable efforts to ensure that your data is not transferred outside the European Economic Area (EEA). Where we use data servers that may transfer data out of the EEA we will take steps to ensure adequate protections are in place to ensure the security of your information and give you remedies in the unlikely event of a security breach. All information you provide to us is stored with secure data processors for the purposes of storing your data, accounting purposes and social media purposes for example. A copy of your information is also stored securely on our internal server and computers where access is restricted. We may monitor and record communications with you (such as telephone conversations and emails) for the purpose of quality assurance, training, fraud prevention and compliance. You can change your mind, remove or add your consent at any time. You have the right of access to your personal records or other information that we hold about you. There is no administrative charge for this service. You have the right to rectify any errors in the data we hold about you. You have the right to have the data we hold about you erased. If you wish us to continue to store your information but wish us to keep your data separate and not process it in any way, please let us know. You have the right to ask us to stop processing your personal data for direct marketing purposes. You may also specify that you object to direct marketing by particular channels such as by email or telephone. If this is the case, please specify the channels you are objecting to in your communications with us. You have the right to data portability. If you wish to obtain your data for your own purposes across different services, we will provide this information to you in a CSV file. There is no administrative charge for this service. To revise your consent, access, amend or remove your records or assert any of your rights set out above, you should send your request in writing to us at enquiries@dignitypetcrem.co.uk. These rights may not apply in all situations or in relation to all types of processing. For example, there may be a legal reason for us to hold your personal information for a period of time. You will need to provide proof of identity and address (e.g. a copy of your driving licence or passport, and a recent utility or credit card bill); and specify the personal data you want access to, amended or removed. The data is no longer up to date or accurate. Dignity Pet Crematorium Limited only offers services to individuals over the age of 18. In using our services, you confirm that you have read and consented to this Policy and verify that you are over the age of 18. We welcome your feedback and questions. If you wish to contact us or our Data Protection Officer, please send us an email to enquiries@dignitypetcrem.co.uk, specifying that the communication is for the Data Protection Officer. We may change this Policy from time to time. You should check this policy frequently to ensure you are aware of the most recent version that will apply each time you use the Website. Why choose a specialist individual pet crematorium? 6 days ago@CourtMoorPE @Carolin19055378 Shame South seems unable to raise a smile in photos - must be worth a fine?! Esp as he’s been MOTM twice! Copyright © 2001-2019 Dignity Pet Crematorium. All Rights Reserved.